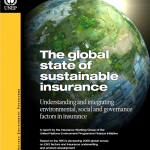 The guide was launched on 27 February 2019 at the “Insuring for sustainable development: Raising the industry’s ambition” international event convened by UN Environment’s Principles for Sustainable Insurance Initiative (PSI) and the Allianz Group. This version of the guide is a public consultation document. The consultation period will be open from 27 February to 30 June 2019. 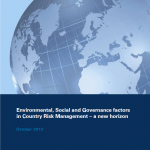 As risk managers, insurers and investors, the insurance industry plays an important role in promoting economic, social and environmental sustainability—or sustainable development. With the adoption of the UN Sustainable Development Goals, Paris Agreement on Climate Change, and Sendai Framework for Disaster Risk Reduction in 2015, there is growing pressure and urgency across all sectors of society to respond and find solutions to sustainability challenges the world is facing. Environmental, social and governance (ESG) issues—also known as sustainability issues—pose a shared risk to insurers, communities, businesses, cities, governments and society at large, providing a strong incentive for innovation and collaboration. 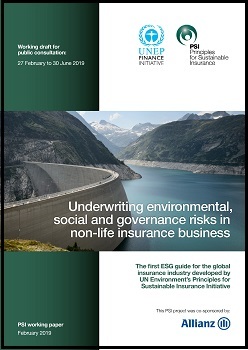 The first global guide to manage ESG risks in insurance underwriting—the core process of evaluating, defining and pricing insurance risks for the global insurance industry — is a result of a multi-year PSI initiative. It has an initial focus on non-life insurance business—also known as property & casualty insurance business. There is growing interest in the insurance industry and the wider financial sector in understanding the correlation between ESG factors and strong performance of companies across industries. 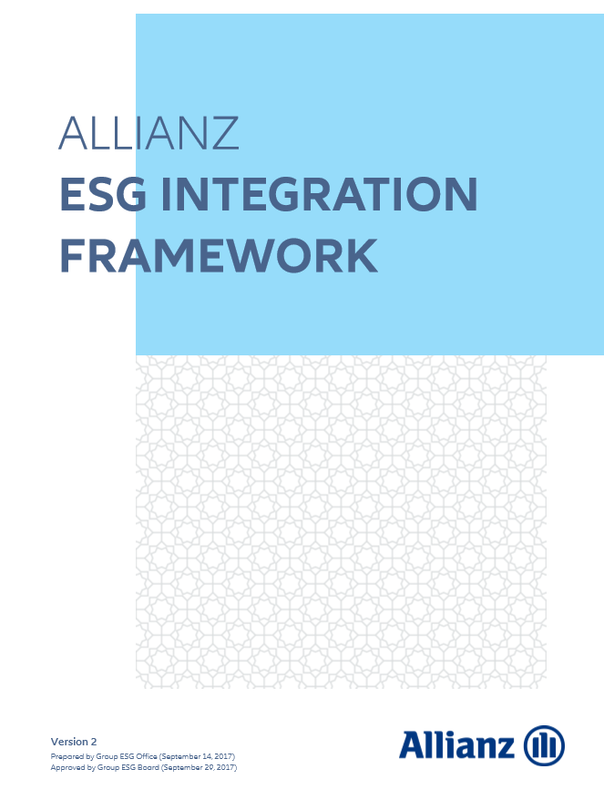 Developing the first insurance industry guide on ESG issues will raise awareness of the potential benefits of ESG integration in the insurance business model. 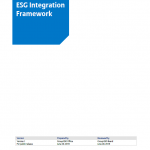 The ESG guide is an opportunity to streamline information requests and build knowledge within the insurance industry, making it easier for business partners to carry out ESG due diligence on clients and transactions. For smaller insurance industry participants, navigating these standards and frameworks and applying them to their business can be resource intensive and confusing. 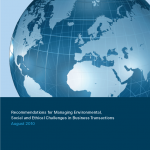 Some ESG issues, such as climate change, require efforts from the entire industry. Working together as an industry to raise awareness of the importance of ESG issues and to support clients in managing them will play an increasingly important role in the future. This document is intended to provide guidance primarily to insurance industry participants with non-life insurance business, particularly industrial and commercial insurance business. 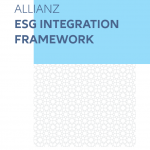 It is aimed at industry participants who intend to develop their approach to integrating ESG risk considerations into their core insurance business processes and decision-making. 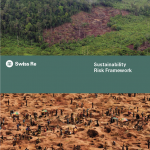 This guide is also useful for stakeholders who might need to assess or obtain information on ESG risks from insurance industry participants, and who would like to better understand the relevance of ESG issues to the insurance business and approaches to managing them. For questions, please contact psi-underwriting@unepfi.org. 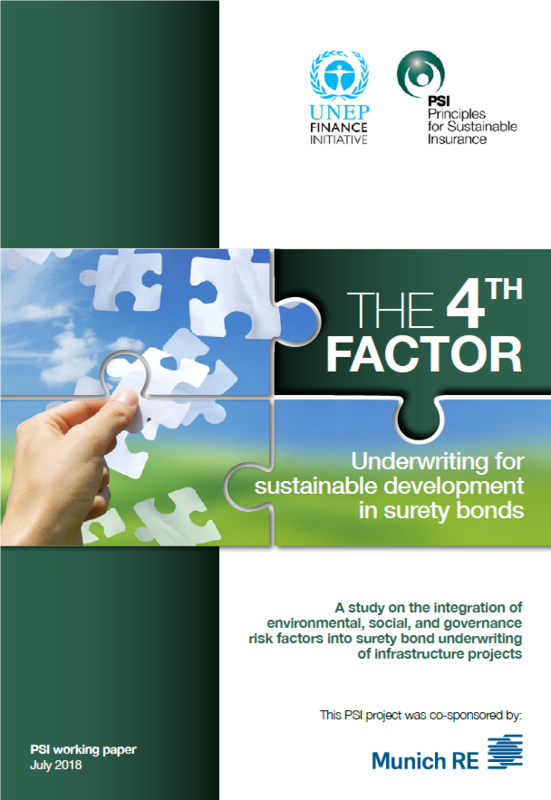 In 2016, a PSI survey focusing on ESG risks in infrastructure, co-led by Munich Re and the International Finance Corporation, was initiated and led to the PSI report, The 4th factor: Underwriting for sustainable development in surety bonds. The focus on surety bond underwriting and infrastructure provided a useful platform to start considering ESG risks more widely across other lines of business and economic sectors. 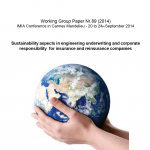 The initiative to develop the first-ever ESG guide for non-life underwriting was one of the main outputs of the international PSI event, Insuring for sustainable development: Making it happen, which was hosted by Allianz in Munich in October 2016. It then became a priority PSI initiative. Co-led by Allianz and the PSI Secretariat at UN Environment, a working group of interested PSI members was formed. 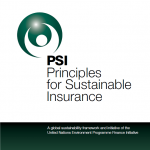 To develop an insurance industry guide that is fit for purpose, the PSI carried out a comprehensive global consultation process to get input from the insurance industry and key stakeholders. In 2017, over 50 interviews with senior experts from over 30 organisations were conducted. These included expert underwriters, insurance CEOs, risk engineers, brokers, loss adjusters, regulators, investors, non-governmental organisations (NGOs) and academia. This initiative was also discussed at various PSI market events from 2017 to 2018, spanning Africa, Asia, Europe, Latin America, North America, and Oceania. One of the key findings from the interviews and events is the lack of industry-wide ESG guidance tailored for the insurance business. The second phase of development involved a multi-lingual global ESG survey in 2018 led by academic partners who are members of the PSI project team (i.e. West Chester University, Temple University, and University of Technology Sydney). 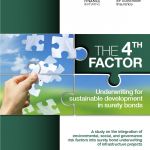 The survey built on the work of the original PSI research on surety bonds and infrastructure in 2016, and the aim was to take a snapshot of underwriters’ perspectives on ESG issues. The third phase of the project involved analysis and review by members of the PSI project team. This work led to this public consultation version of the guide. The final phase is to produce a full 1.0 version of the guide by the end of 2019. Thereafter, the aim is to update the guide on a yearly basis.